UPDATED: Tue., Nov. 7, 2017, 12:01 p.m.
WASHINGTON – The Trump administration is moving ahead with Obama-era requirements to post calorie counts in restaurants, supermarkets, convenience stores and pizza delivery chains nationwide next year. Trump appointees have delayed or upended regulations passed by the Obama administration including rules for water pollution, fuel emissions and policing for-profit universities. But the menu labeling rules, championed by former first lady Michelle Obama, appear on track to take effect next May after years of delays. Behind the law is the idea that people may think twice about buying their daily doughnut at the gas station if they see how many hundreds of calories it contains. In a key move, the FDA rejected requests from pizza chains, including Domino’s Pizza, which wanted to post calorie information on their websites instead of each store location, arguing that most customers don’t visit their physical locations. However, the agency said stores have a variety of options for displaying calorie counts beyond traditional menu boards, including electronic kiosks, tablet devices and even paper menus. “At first glance, there appears to be some progress, showing that the FDA is listening to concerns,” Domino’s spokesman Tim McIntyre said in an email. However, he added that the company still wants Congress to intervene to change the law. Industry groups are backing legislation in the House of Representatives that addresses many of their concerns. Pizza chains have argued that displaying calorie counts in their locations doesn’t make any sense because most of their customers don’t come into the store. Grocery and convenience stores have said the rules would be more burdensome for them because they typically have more limited offerings than restaurants and one central ordering point. The FDA offered clarifications that it said could reduce the workload for some businesses. The agency said posters, coupons, mailings and other advertising materials are not considered menus and do not have to list calories. The agency will take comments on its guidelines for 60 days before moving to finalizing them. The restaurant industry has backed the law and major chains including Starbucks, Subway and McDonald’s are already posting calorie counts. 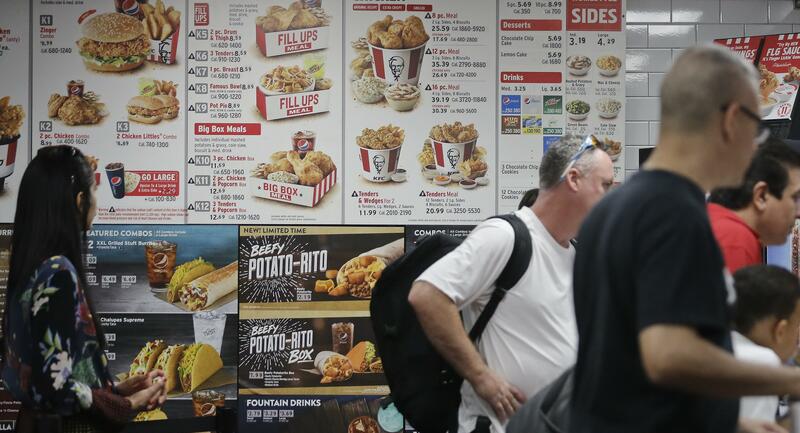 New York City and several other cities have passed laws requiring restaurant chains to list the information, but the federal rule would apply to more places and require them in non-traditional food outlets such as gas stations and movie theaters. Consumer advocates who lobbied for years to pass the law expressed relief after reviewing the FDA guidelines. Published: Nov. 7, 2017, 11:46 a.m. Updated: Nov. 7, 2017, 12:01 p.m.